This weekend saw the eighth edition of Simple Things Festival hit the city of Bristol with almost 18 hours of raucous and kaleidoscopic music. Curated by Crack Magazine, champions of underground music, the festival yet again proved itself with a refreshingly motley lineup. Though the 40+ acts were spread over six venues in reasonably close proximity, there was often seemingly little in common with the artists that shared a stage; if you stuck around for a beer after, say, the ironic(?) lo-fi rap of Jimothy Lacoste at the 02 Academy, you would have been caught in the chaotic web of the mathy, post-punkers Black Midi. Amist the backdrop of this alluring tumult though, here are five acts that left a special impression. 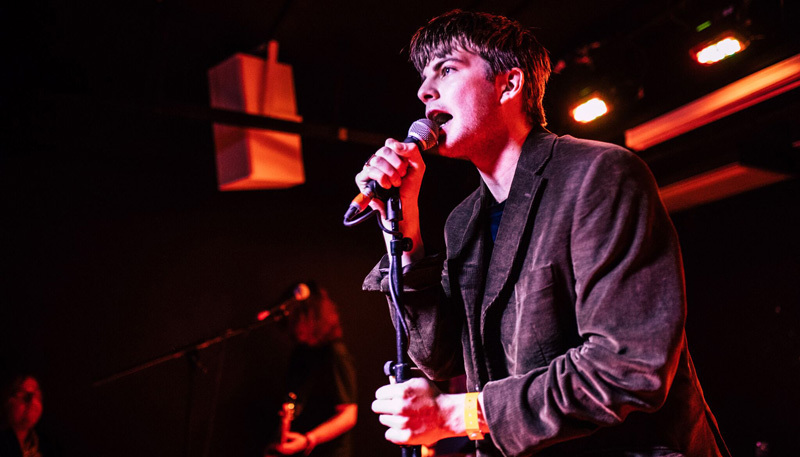 There was a tangible and genuinely nervous energy emanating from Grian Chatten, who fronts Dublin's Fontaines D.C. It gave his pithy aphorisms ("A sellout is someone who becomes a hypocrite in the name of money / An idiot is someone who lets their education do all of the thinking") a kind of frantic clout, and added a gust to the wave of tight, constant energy and fat riffs from his band when he let loose. If you get the chance, don't miss out on seeing this band live. An early highlight, France's Halo Maud sits somewhere between the cosmic hymns of Bjork and the psychedelic dream-pop of Melody's Echo Chamber. Though the influence of the latter is unmistakable, it was rewarding seeing her perform these lush, sweeping songs live and sculpting her own artistry. Headed by drummer and producer Nicola Mauskovic, this Amsterdam-based outfit took the energy up a notch as the day's proceedings drew to a close, and brought with it a growing crowd who preferred their trippy, tropical rhythms to the languid atmosphere of Slowdive. Like their retro clothing, this Dutch group's mix of 70s afro-beat, funk and cumbia was flamboyant and ultimately the most fun of the day. 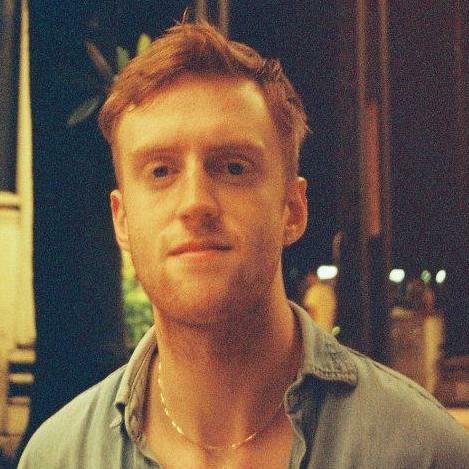 Australia's Haiku Hands have gained significant hype this year from a string of singles that have switched from deep-house ('Not About You') to saccharine disco-pop ('Jupiter') to infectious dancehall ('Squat'). 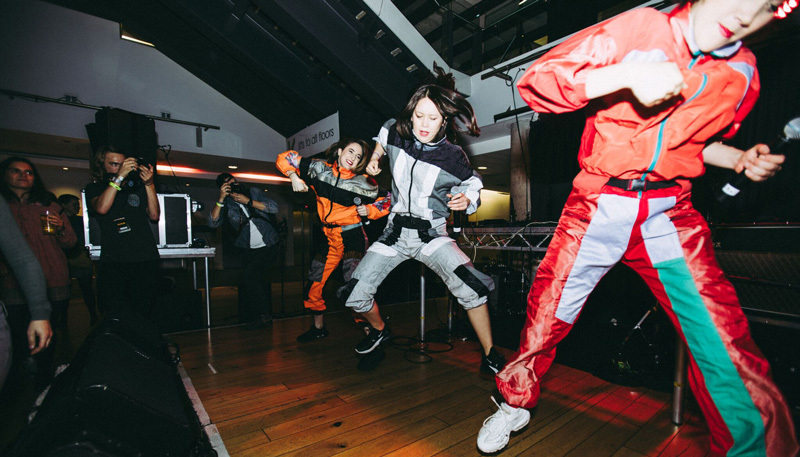 Their live set was equally as mixed, though dressed in vibrant tracksuits with mesh masks like a group of colourful widows, sisters Claire and Mie Nakazawa and Beatrice Lewis' sprightly synchronised performance kept a sense of coherence and energy. 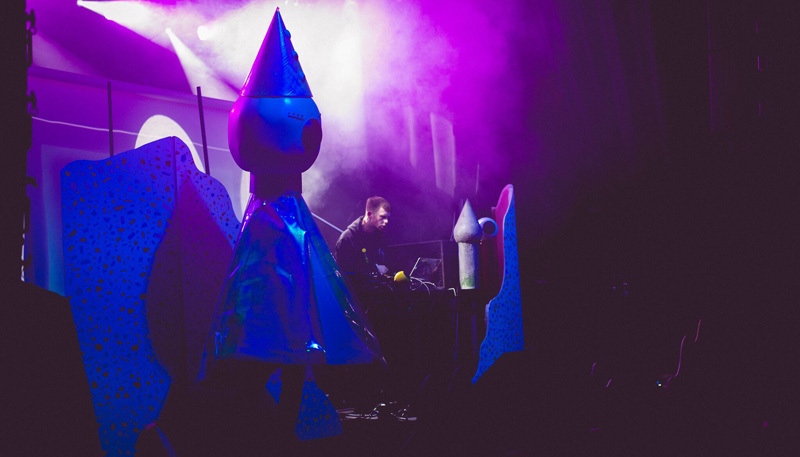 Irish producer Seamus Malliagh caught the attention of Flying Lotus' Brainfeeder with his abstruse project Iglooghost back in 2015, and along with the likes of Ross from Friends has become one of their hot priorities. The high-speed, furiously warping glitches of Iglooghost are intensely disorientating until you let go of your inherent understanding of a song's traditional parameters and put your trust in Malliagh at the helm, albeit that would probably have been a bit more appropriate 12 hours later than his 5PM slot. Nevertheless, there was an incrediblly hallucinatory visual aesthetic onstage, including an appearance from a mascot of the dimension-shifting worm Xiāngjiāo that's central to the concept of the project and features in his videos and artwork, which matched the face-melting quality of getting lost down Malliagh's wormhole effectively.